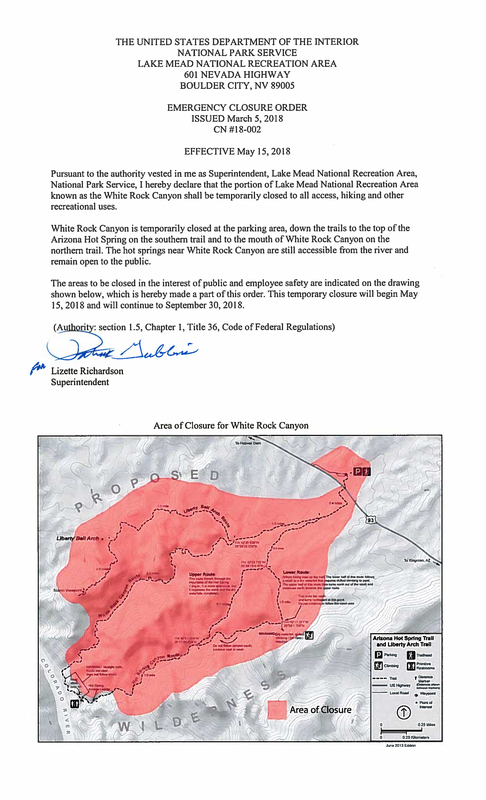 BOULDER CITY, Nevada – This year, Goldstrike Canyon Trail will close April 15 through Sept. 30, and Arizona Hot Spring Trail will close May 15 through Sept. 30. The earlier closure for Goldstrike Trail is required because construction for the new Interstate-11 will shift traffic onto U.S. Highway 93. 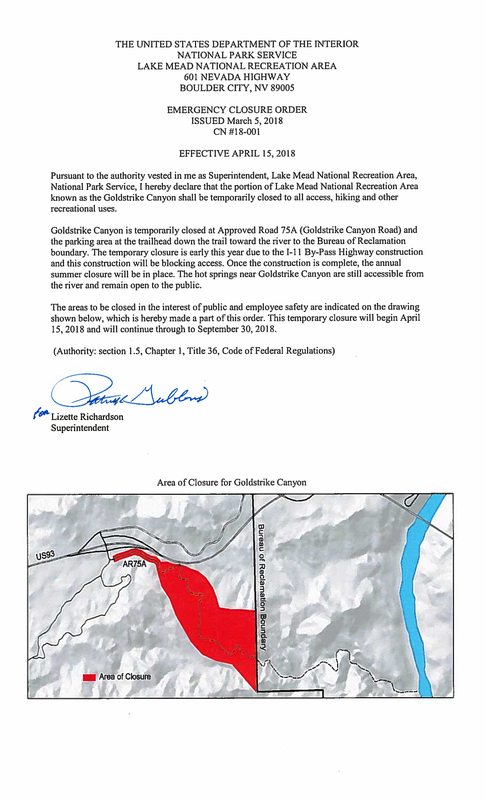 Access to the trail via U.S. 93 will be closed, starting April 15. Once construction is complete, the annual summer closure will be in effect through Sept. 30. Park management implemented seasonal closures on these two trails four years ago after public safety incidents significantly increased. According to the Regional Transportation Commission of Southern Nevada, the I-11 is expected to be complete and open to traffic October 2018.